This article was originally published in The News-Enterprise on Sunday, November 12, 2017. 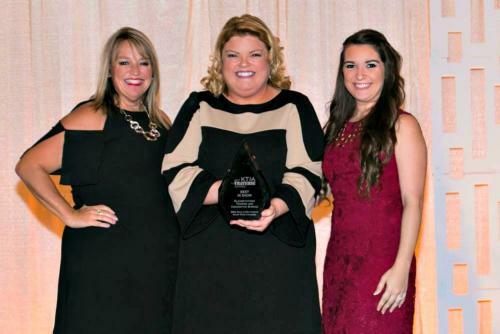 The Elizabethtown Tourism and Con­ven­tion Bureau received three awards at the Ken­tucky Travel In­dus­try Association’s Tra­verse Awards for Ex­cellence in Tourism Mar­keting competition Oct. 24 during the association’s fall conference. The bureau won the Silver Award, second place, for its smartphone app in the digital promotional category. Its BBQ, Blues & Bikes social media campaign took home the Gold Award, first place, in the digital advertising category. Once gold, silver and bronze winners have been announced in all categories, overall winners are announced, which includes Jud­ge’s Choice, Most In­no­va­tive, and Best in Show. The bureau’s BBQ, Blues and Bikes social media campaign won Best in Show. The campaign was broadcast across three social media platforms: Snapchat, Facebook and Twitter. The Twitter and Face­book campaigns featured a 30-second video of the festival produced by Heartland Communications Con­sultants, and the Snapchat campaign featured a special BBQ, Blues & Bikes mobile geofilter. The awards are an annual showcase for tourism agencies around the state competing in more than 20 categories of tourism marketing. This year, the association received more than 200 entries, making it the most entries in the history of the award ceremony.